Release Date:02/02/2018;Notes:Double 180gm vinyl LP pressing in a gatefold sleeve. 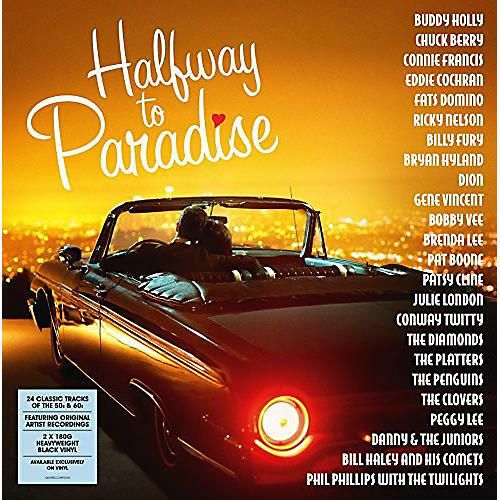 Halfway To Paradise is an exclusive to vinyl release on Demon Records. Contains 24 classic songs of the '50s and '60s performed by the greatest artists of the era. Timeless tracks from The Crickets featuring Buddy Holly, Bill Haley and His Comets, Chuck Berry, Eddie Cochran, Dion, Gene Vincent and His Blue Caps, Fats Domino and many more.